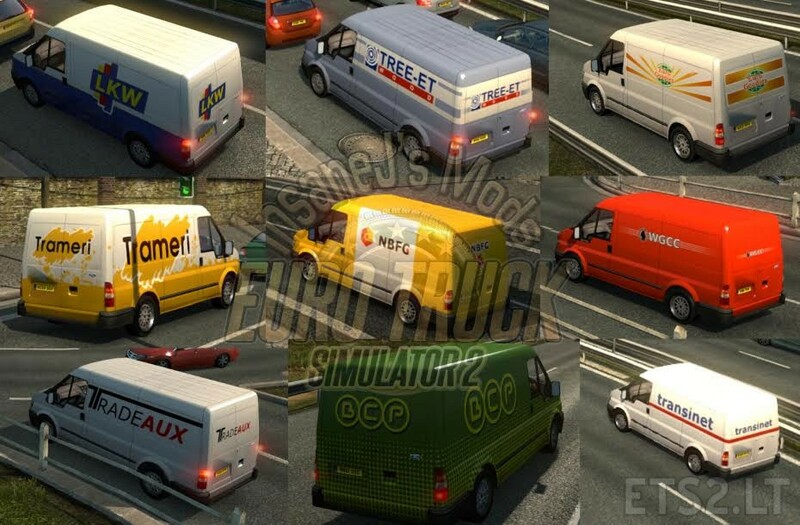 -Collection Of Skins 17 service vans of European companies. 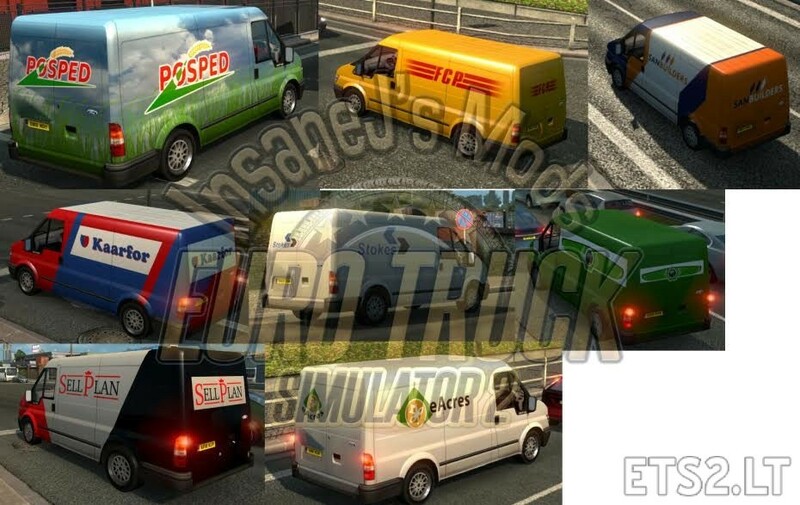 -They Will not appear in Scandinavia. LKWLog, Tree-Et, EuroGoodies, Trameri, NBFC, WGCC, Tradeaux, BCP, Transinet, Posped, FCP, Sanbuilders, Kaarfor, Stokes, Scout, Sellplan, eAcres.